At a time of differing perceptions of and frayed relations between the historic alliance between France and the United States, this volume merits the attention of serious people in government service and a wider public. It describes deeds of enormous courage, performed at great risk, in a time of crisis. The behavior of American soldiers and intelligence officers, and the extraordinary support from ordinary French men and women in Nazi-occupied France during World War II, is a story too little remembered today, and even less frequently told. 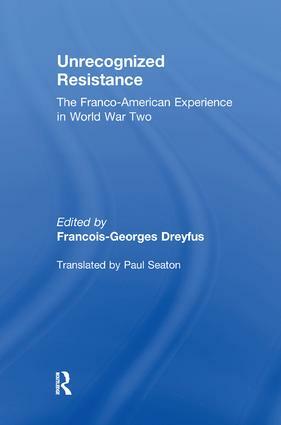 This volume is an edited summary of what transpired at a unique colloquium held in the Salle Mdicis of the Palais du Luxembourg in Paris in December 2000, and hosted by the president of the French Senate.